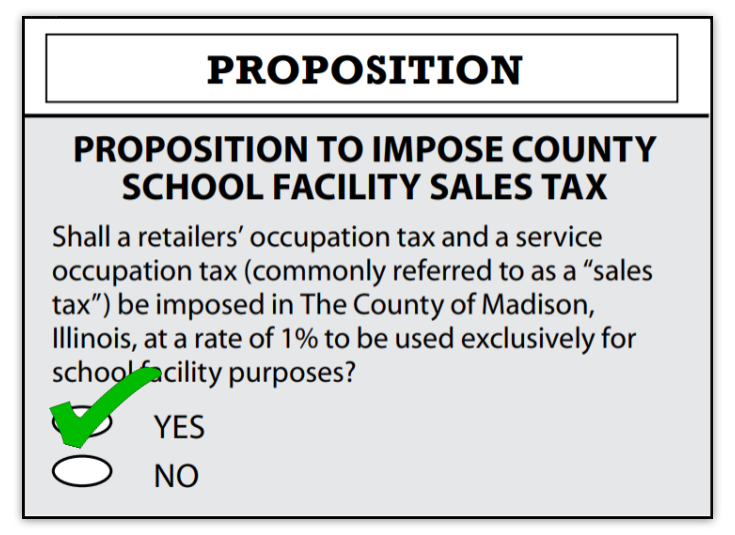 On March 20, 2018, voters in Madison County will decide on a 1% County School Facility Tax (CSFT) that will create an alternative source of revenue for our school districts which DOES NOT rely on property taxes. The revenue from this 1 cent sales tax will fund school improvements across the county and allow school districts to keep property taxes UNDER CONTROL. For more information about the possibility of lowering property taxes in your district, CLICK HERE.